Discussion in 'Request Area' started by Jusa, Jun 15, 2014. Requesting a jar filled with jam. Blueberry and strawberry. I lack the skills and experience when it comes to modelling so it would be lovely if anyone here is intrested. something like this silly sketch i just made. Pumpin' up the Jam. Will have it done as soon as possible. It sure is, but the question is: blueberry or strawberry jam? Do you need the spoon too? I can model the jar in a few seconds. Bckscratch allready made a jar model for me, forgot to close this thread. 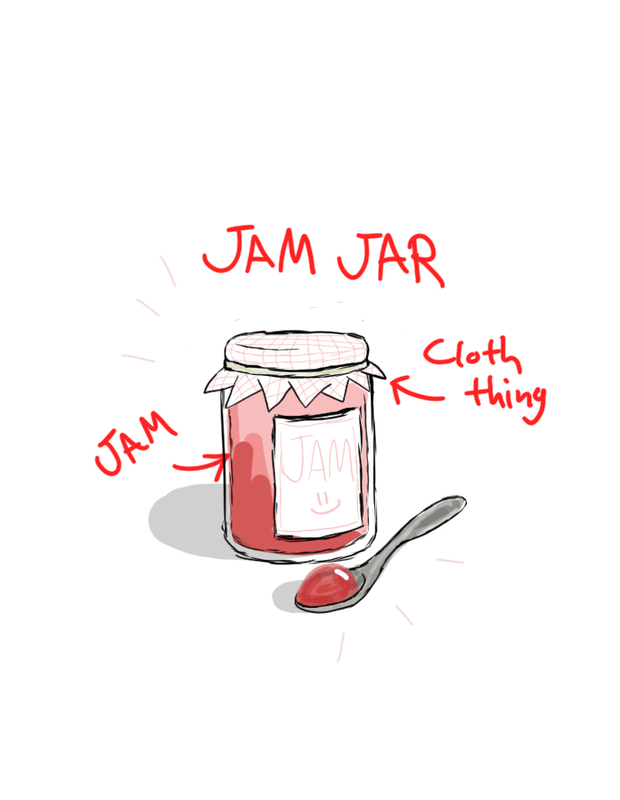 Tho if you want to make a even more awesome jam container im not going to say no to you.